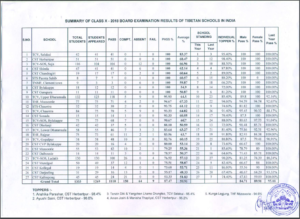 The Central Board of Secondary Education (CBSE) declared the Class 10 Board Examination (AISSE) results 2018 on 29th May afternoon. 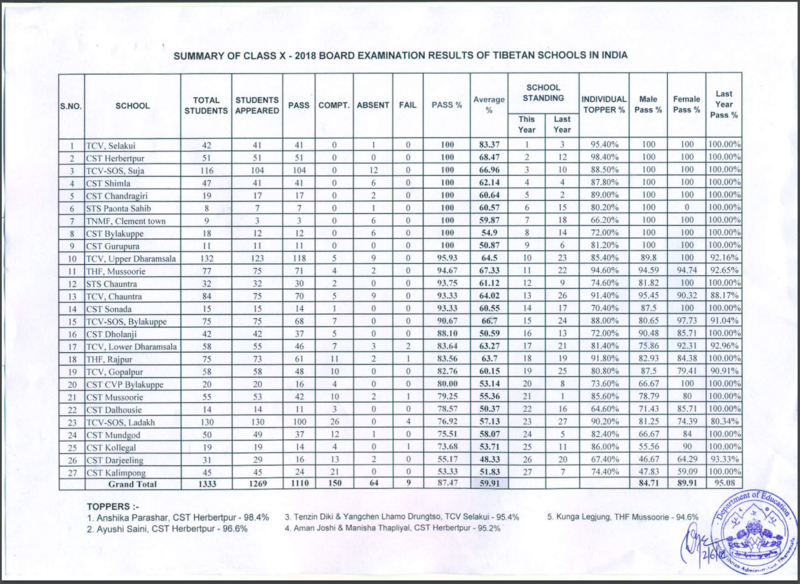 Out of 1269 students appeared in the AISSE held in March 2018, 1110 students have passed, 150 students have been placed in the compartment category and 9 students could not clear the exam. The overall pass percentage is 87.47 and the average percentage is 59.91. Girls, with a pass percentage of 89.91, did better than the boys by 5.2 %, who registered a pass percentage of 84.71. A total of 16 students have scored more than 90 %. In 2009, the CCE system was introduced by CBSE with the enactment of the Right to Education (RTE) Act 2009 to bring about a holistic development among students. With the aim to bring the uniformity in the system of assessment and examination for classes IX and X, CBSE has restored Board Examination for class X and revised assessment structure and examination for class X from Academic Year 2017-18 onwards. The Department of Education, CTA congratulates all the students who have succeeded in the exam and their teachers for the efforts they have put in. The compartment students are advised not to lose their heart but prepare well for the upcoming compartment exam in July 2018.